Today I have an assist from my dino-friend, Cyrus. Take it away, Cyrus. 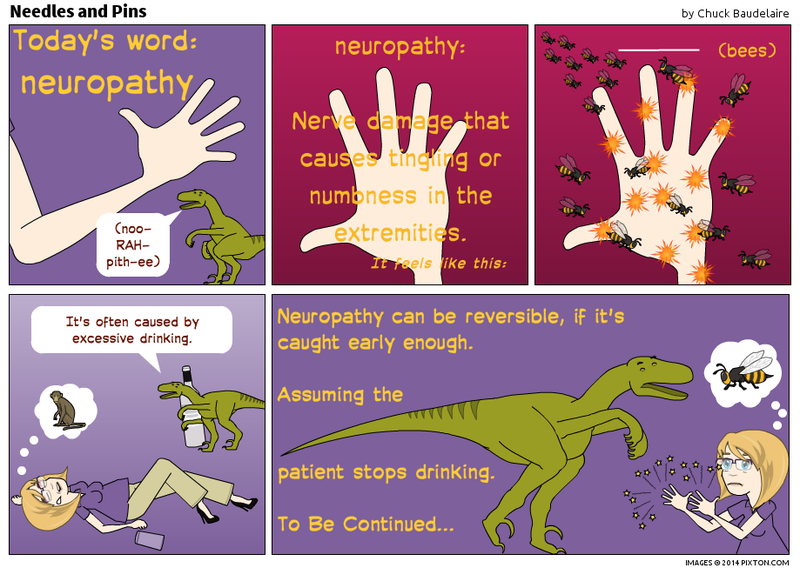 How do you know if neuropathy will go away? How do you know if it won't? Also, it's more like ant bites than bee stings, but bees are more visually appealing. Yeah..I have that in my feet. It gets worse over time....but, I've found if you apply numbing cream, it helps.